Modelling and simulation techniques are of central importance to conducting research in sport and exercise science, informing data collection and helping to analyze patterns of movement and physical performance. 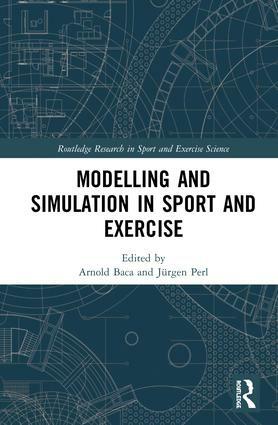 Modelling and Simulation in Sport and Exercise is the first book to offer an instructive reference for modelling and simulation methods for researchers and sport and exercise scientists. Based around a series of research cases, describing core theories in applied, practical settings, the book draws on examples of modelling and simulation in ball games, biomechanical analysis, physiological testing and monitoring, predictive analysis and sports engineering and product design. Each research case presents a central problem, discusses different modelling approaches that could be used to deal with the issue, analysis of results and a reflection on the methodology and an exercise for students to put the techniques discussed into practice. This is an important reference for any active researcher or upper-level student in sport and exercise science with an interest in mathematical modelling, computer science or simulation techniques.